Each year, the Explorer’s editor heads up Mount Marcy on skis. This is his guide to the region’s premier backcountry tour. 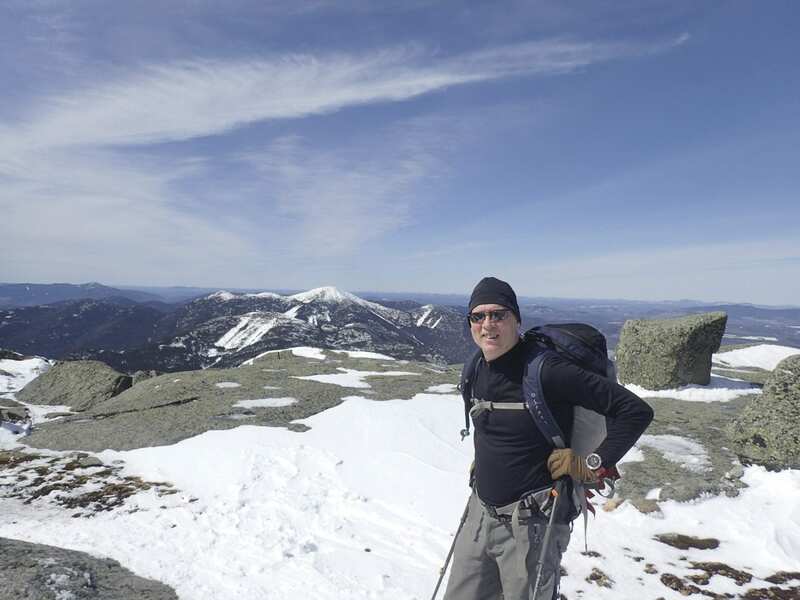 Phil Brown enjoys a balmy day on Marcy’s summit last April. The spring equinox occurred on March 20. The baseball season opened on April 2 (the Yankees lost). The Masters Tournament will begin in a few days. As far as I’m concerned, though, it’s still winter. I’m going to ski Mount Marcy today. 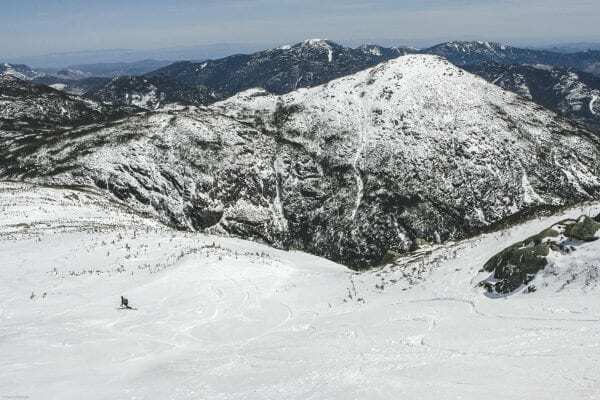 The trip to the tallest peak in New York State is perhaps the region’s premier ski tour, prominently featured in both Tony Goodwin’s Ski and Snowshoe Trails in the Adirondacks and David Goodman’s Best Backcountry Skiing in the Northeast. I try to ski Marcy every year around my birthday (March 30), but I hadn’t been able to do so the previous year in the winter that wasn’t. This winter—in 2017—we have the snow. As I just turned sixty-three, however, I’m wondering if I still got it in me. Starting from Adirondak Loj, it’s 7.4 miles to the 5,344-foot summit, which affords a spectacular panorama of the High Peaks and beyond. It usually takes me about five hours to reach the top, but some do it in less time. The descent typically takes me two to three hours. One of the highlights is skiing the open bowl on the summit cone. It’s over in a flash, so skiers sometimes do a few laps before beginning the long trip back to the trailhead. Except for a half-mile ski trail below Indian Falls, the rest of the descent is on a hiking trail. Skiing a narrow trail, brushing against tree branches, not knowing if a hiker is around the next bend, can be daunting. It’s especially so if you’re fatigued from climbing 3,166 vertical feet with boards attached to your feet. Goodwin and Goodman both recommend Marcy only to expert skiers. I suppose that’s good advice, except I’m not an expert skier. I ski a lot, but I regard myself as an intermediate, or perhaps an advanced intermediate on my better days. When I first moved to the Adirondacks, in 1999, I stopped at the Cascade Cross-Country Ski Center to shop for skis. I didn’t have much of a clue. “What kind of skiing do you plan to do?” the sales rep asked. “Well, will you be skiing on golf courses or going up Mount Marcy? Several winters later, I skied Marcy myself for the first time. I’m sure I fell a number of times on the way down. As a matter of fact, I have managed to ski Marcy from top to bottom only once without a single fall. Most of my falls are minor, such as those caused by losing my balance after a quick stop. That said, I’ve done a few headers into the snow. Fortunately, I never got hurt. Believe it or not, most of the Marcy trail is not overly steep or difficult, though it does require caution. One longtime backcountry skier described it to me as “kind of a snooze.” For a greater challenge, experts like him often prefer to ski slides and glades. Yet a ski trip up Marcy should never be undertaken lightly. Even if it’s balmy in the valley, it can be arctic-like on the summit. If you break a leg or get lost in a whiteout, you could be in for a very cold night—or worse. 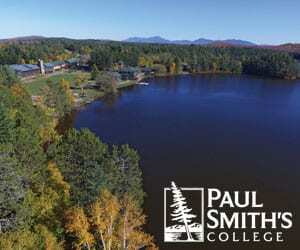 On the day of my trip, the temperature is forecast to rise into the high fifties in Lake Placid. I arrive at the Loj just before 9 a.m. Since it’s a weekday, there aren’t many cars in the lot. As expected, the trail is boilerplate, nearly as hard as ice. On the first little hill, usually a short bunny run, I quickly build up speed and skid around a corner, desperately digging my edges into the frozen surface. My hope is that the trail will soften as the day wears on. For now, I’m just grateful that the Van Hoevenberg Trail to Marcy Dam—the first section to melt in spring—appears to be well covered. The 2.3 miles to the dam, with easy ups and downs, is a good warmup for the steeper terrain ahead. When I reach the dam, I catch up with four women on their way to Table Top Mountain. They’re wearing MicroSpikes. Technically, hikers are supposed to wear snowshoes in the High Peaks if the snow is deeper than eight inches. “We didn’t ruin your trail, did we?” one asks me. “We’d put on snowshoes then,” she assures me. If only all hikers shared her courtesy and common sense. Post-holes are the bane of backcountry skiers. They’re created by snowshoe-less hikers sinking into the snow. In spring, some hikers make the mistake, based on conditions at the Loj, of thinking there isn’t much snow left. I recall ascending Marcy on skis on another warm day in April and passing a hiker who was sinking up to his knees. He was frustrated; I was annoyed. “The season’s over!” he shot back. As I said, he was up to his knees in snow. Leaving Marcy Dam, I continue up the Van Hoevenberg Trail along Phelps Brook, wondering if the stream will still be frozen at the crossing. As it turns out, the ice is solid. No rock-hopping in ski boots today. In three-quarters of a mile, I’ll cross the brook again, this time on a wooden bridge. When returning from Marcy, I love descending the stretch between the two crossings. It’s a mellow cruise perfectly suited for the end of a long day. Because this part of the trail is rocky, it needs a lot of snow. Even then, you’re likely see rocks poking above the surface. I happen to enjoy skiing around the rocks—it’s like a slalom course—but it may not be your cup of tea. If not, just take it slow. To get a taste of what to expect, check out the video I made. 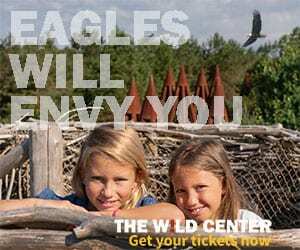 It can be found on the Explorer website. Beyond the wooden bridge, the trail will get considerably steeper, so I stop to remove the skins from my pack. These are nylon strips with adhesive that sticks to the bottom of the skis. The fabric’s nap will prevent the skis from slipping backward as I climb. At this point, I have about four miles to go. In a tenth of a mile, I reach a junction where a ski trail splits from the Van Hoevenberg Trail. The ski route climbs steadily for about three-quarters of a mile, rejoining the hiking trail just before Indian Falls. Though designated for skiing, the trail can be challenging on the way down. You must be able to make tight turns to check your speed or be prepared to make frequent stops. Just after crossing Marcy Brook on a snow bridge, I turn right onto a short trail that leads to the Indian Falls outlook. The view of the MacIntyre Range—Wright, Algonquin, Iroquois, and Marshall—is not to be missed. I usually stop here for a short rest. By now, I’ve been on skis for about two hours, ascending more than halfway to Marcy’s summit and gaining 1,500 feet in elevation. Over the next three miles, I will gain another 1,670 feet. After a quick snack and a few gulps of water, I continue on my way and soon begin a gradual half-mile ascent to a height of land. This section of trail also is an intermediate skier’s delight on the return trip, just steep enough to generate excitement. From the height of land, I shuffle down a small hill (skins don’t glide well), cross a flat area, and begin climbing the Corkscrew. This is the steepest section of trail and, as its name suggests, also the twistiest. It’s wider than the rest of the Van Hoevenberg Trail to give skiers room for turning. Nevertheless, the Corkscrew is difficult. On the way down, you can build up speed quickly. Intermediate skiers should be prepared to stop two or three or four times. Speaking of post-holers, I once was coming down the Corkscrew and saw a bunch of hikers milling around at the bottom. I yelled a warning, and they all scattered—except for one guy. I made a quick stop. The fellow had sunk up to his thighs in snow and hadn’t been able to budge, even with a skier hurtling toward him. It turns out he and his crew had been post-holing the whole way and finally decided to put on snowshoes in the middle of the trail at the base of the hill. Not a good idea. After climbing the Corkscrew, the trail narrows again and ascends gradually for about three-quarters of a mile to a junction with the Hopkins Trail from Bushnell Falls. On the return, this is another of my favorite sections. It features a number of bends and dips and offers some great views. Although the skiing is not very difficult, there are some tight turns where you must keep especially alert for hikers or other skiers traveling in the opposite direction. When I reach the trail intersection, I pull out from my pack a sandwich of peanut butter, honey, and raisins. This is my usual lunch spot, a good place to fortify myself for the final, steep push to the summit, now just over a mile away. Years ago, I saw my first gray jay here, eyeing me from a low branch in a balsam tree as I ate a sandwich. When I held out a crumb, the bird flew down and snatched it. Gray jays are fairly rare in the Adirondacks, being at the southern end of their range, but they are common in Canada. Their boldness has earned them the nickname “camp robber.” While munching my sandwich, I hear the cries of birds of another feather—Canada geese migrating north in V-formation. I guess it really is spring. 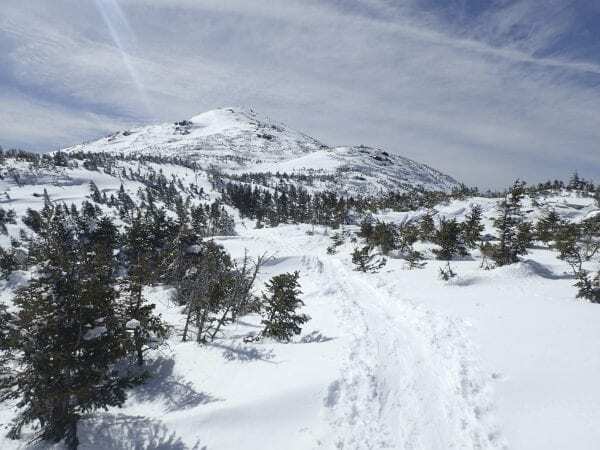 Lunch over, I make a short descent and then climb to an open area called the Plateau and take in a wide-open view of Marcy’s summit, with the trees on its upper slopes giving way to pure snow. I have taken dozens of photos here over the years, but I can’t resist stopping for a few more. Just beyond, the trail dips briefly, and I come to a sign with a warning to all travelers, no matter the season, in bold red letters: “Weather subject to severe change. Do not proceed beyond this point without proper gear.” The warning is especially apt this time of year, when conditions at the trailhead and open summit can vary widely. Above tree line the wind and cold can be brutal even if it’s clement in the valley. One time, while wearing full winter regalia—puffy jacket, hat, mittens—I passed a snowshoer in shorts, head bowed, teeth clenched, fighting an arctic wind. He looked miserable but determined to make it to the top. From here, the trail climbs steeply for about four-tenths of a mile to an intersection with the Phelps Trail, the last junction before the summit. Veteran backcountry skiers call this stretch the Romper Room. In my book, it’s the hardest part of the descent after the Corkscrew, with less room for making turns. As I’m ascending Romper Room, two skiers suddenly appear and skid to a stop. They’re on alpine-touring (AT) skis with bindings that lock the heel on the descent. I feel a twinge of ski envy. My skis are lighter, with cable bindings that don’t lock the heel. Nevertheless, my setup is adequate for Marcy. Heck, I once saw a man coming down the trail on skinny touring skis. I’ve also seen people on skis that were nearly as fat as a snowboard. At 6.8 miles from the Loj, I reach the Phelps junction. The signpost—normally as tall as a person—is nearly buried in snow, with only a foot or so sticking above the surface. By this time, I’m pretty much above the winter tree line and exposed to sun and what little wind exists today. No need to dig my puffy out of the pack. As usual, the last quarter-mile of the hiking trail is wind-blown and icy. I head well to the left to find more snow. My route takes me along the edge of the summit bowl, and I’m happy to see it looks very skiable. I’ve been up here when the snow is frozen wind slab. Today there are a few inches of soft snow on top of a firm base. I can’t wait for the descent. The bowl is short and steep, but it has a long runout at the bottom. Better skiers will go right down the fall line, making S-turns. If you’re worried about the bowl’s pitch, however, you can traverse back and forth. I reach the summit five hours after leaving the Loj. I meet a solo skier who beat me to the top: Paul, a lawyer from the Albany area. From our conversation, I gather that he has been backcountry skiing in the Adirondacks for decades. Of course, he’s familiar with the Ski to Die Club, a legendary band of locals who skied all over the High Peaks in floppy leather boots and skinny boards, long before backcountry became a thing. They’re still around, those guys. I once skied to the top of Little John Mountain, a modest peak just outside Lake Placid, and found car keys attached to a leather fob marked with the initials “PM.” I surmised they belonged to Pat Munn, a member of the merry band. I had heard of Pat but never met him and didn’t know how to find him. The next day I went up Marcy. When I got to the top, I saw Ron Konowitz, another Ski-to-Die member. Out from a small crowd of skiers stepped Pat. “Pat, did you lose your car keys on Little John Mountain?” I asked. The Ski to Die Club was having a reunion on top of Marcy that day. I watched as Pat blasted off the summit, whooping and catching air as he cleared the lip of the bowl and then making a series of expert turns. I would die to be able to ski like that. What I’ve learned, though, is that I don’t have to. Wow, great story, thanks for posting. I felt like I was there with you. I could really relate to being an “intermediate” skier. I grew up skiing in the Green Mtns and always skied with people who were better skiers than myself. I have gotten fairly good over the years but never considered myself an expert. I can get down Tuckermans without too much trouble. You story has inspired me to get out there more. I have been up Marcy a couple of times and live spending time in the Adirondacks. Maybe I’ll see you on the trails. Thanks again. Oh btw I’m 67 and recently retired so I think us seniors can still keep up. It brings back memories. Skiing up Marcy was my favorite trip. The first time I did it was with climbing wax and a pair of 210 wood skis, no edges and low-cut boots from L.L. Bean. I have skied up Marcy in the fog, ice and a bright sunshine and encountered the Ski to Die crowd. There was a sort of ski snowshoe called bushwhacker’s . Peter Fish encouraged me to get a pair. My brother and I were pretty serious skiers and would start a Marcy trip at about 10 AM. This often left time for other skiers to go first to break trail however inevitably before we got to Indian Falls we passed everybody and ended up breaking trail to the Summit. Tree-lined was the perfect place to either put on extra gear or shed clothing. I think Marcy is one of the most rew is arding winter trips that I ever experienced.